Doing extra customization on your website is pretty common especially if the chosen theme doesn’t support the style and functionality that you want. But most amateur website designers missed this portion which may result in losing all the extra codes every time there’s a new update on your theme. Of course, that’s not everyone’s cup of tea. It’s a waste of time, effort, and money. To avoid this, you need to make sure the parent theme is carrying a WordPress child theme version. WordPress codex did a very great job in explaining what child theme is. Now, you know what’s WordPress child theme is.. Let’s build now! Like any theme, child themes are located in wp-content/themes in your WordPress installation. So, navigate there and create a new folder for your child theme. A best practice is to give your theme’s folder the same name as the parent theme followed with -child phrase. 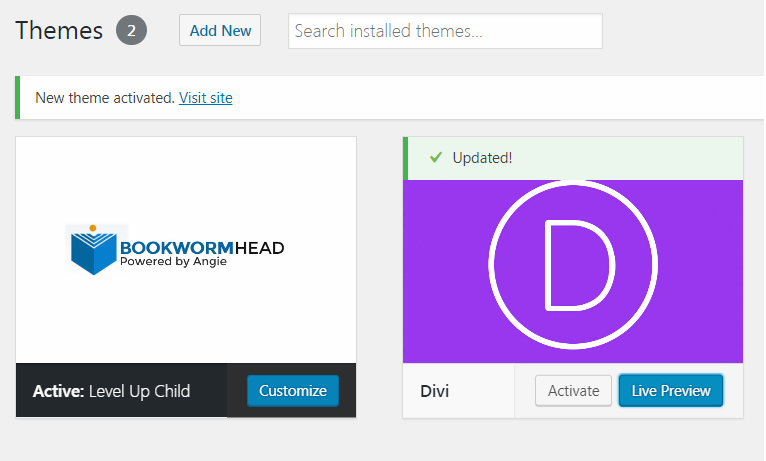 Now, because we’re using the Divi theme, we will call our folder divi-child. Create a styles.css then write the following code below. You can modify the text field according to your preferred information. Lastly, go back to Appearance – Themes and press the activate button.